We positive. Never give up. Motivation. And properly motive on a Yong man. Martin Luther King Jr. was an American Baptist minister and activist who became the most visible spokesperson and leader in the civil rights movement from 1954 until his death in 1968. Martin Luther King Jr was one of America’s most influential civil rights activists. His passionate, but non-violent protests, helped to raise awareness of racial inequalities in America, leading to significant political change. Martin Luther King was also an eloquent orator who captured the imagination and hearts of people, both black and white. 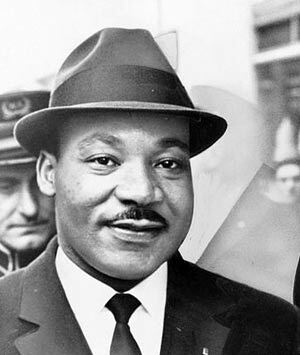 Martin Luther King, Jr. was born in Atlanta on 15 January 1929. Both his father and grandfather were pastors in an African-American Baptist church. M. Luther King attended Morehouse College in Atlanta, (segregated schooling) and then went to study at Crozer Theological Seminary in Pennsylvania and Boston University. During his time at University Martin Luther King became aware of the vast inequality and injustice faced by black Americans; in particular, he was influenced by Gandhi’s philosophy of non-violent protest. The philosophy of Gandhi tied in with the teachings of his Baptist faith. At the age of 24, King married Coretta Scott, a beautiful and talented young woman. After getting married, King became a pastor at Dexter Avenue Baptist Church in Montgomery, Alabama. A turning point in the life of Martin Luther King was the Montgomery Bus Boycott which he helped to promote. His boycott also became a turning point in the civil rights struggle – attracting national press for the cause. It began in innocuous circumstances on 5 December 1955. Rosa Parks, a civil rights activist, refused to give up her seat – she was sitting in a white-only area. This broke the strict segregation of coloured and white people on the Montgomery buses. The bus company refused to back down and so Martin Luther King helped to organise a strike where coloured people refused to use any of the city buses. The boycott lasted for several months, the issue was then brought to the Supreme Court who declared the segregation was unconstitutional. After the success of the Montgomery bus boycott, King and other ministers founded the Southern Christian Leadership Conference (SCLC). This proved to be a nucleus for the growing civil rights movement. Later there would be arguments about the best approach to take. In particular, the 1960s saw the rise of the Black power movement, epitomised by Malcolm X and other black nationalist groups. 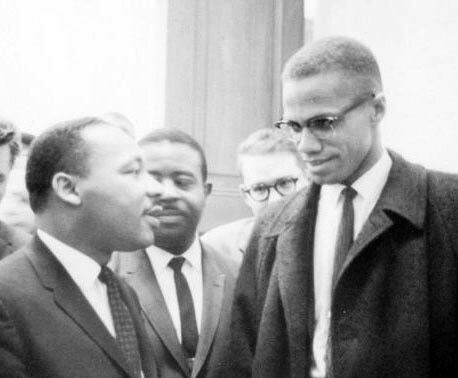 However, King always remained committed to the ideals of non-violent struggle. Martin Luther King was an inspirational and influential speaker; he had the capacity to move and uplift his audiences. In particular, he could offer a vision of hope. He captured the injustice of the time but also felt that this injustice was like a passing cloud. King frequently made references to God, the Bible and his Christian Faith. His speeches were largely free of revenge, instead focusing on the need to move forward. He was named as Man of the Year by Time magazine in 1963, it followed his famous and iconic “I Have a Dream Speech” – delivered in Washington during a civil rights march. The following year, Martin Luther King was awarded the Nobel Peace Prize for his work towards social justice. 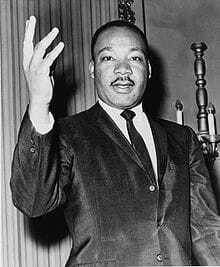 King announced he would turn over the prize money $54,123 to the civil rights movement. With the prestige of the Nobel Prize, King was increasingly consulted by politicians such as Lyndon Johnson. However, King’s opposition to the Vietnam War did not endear him to the Johnson administration; King also began receiving increased scrutiny from the authorities, such as the FBI. In his honour, America has instigated a national Martin Luther King Day. He remains symbolic of America’s fight for justice and racial equality. Citation: Pettinger, Tejvan. “Martin Luther King Biography”, Oxford, UK. www.biographyonline.net, 11th Feb 2008. Last updated 2 March 2018. Sandeep Maheshwari's Life Introduction Sandeep Maheshwari Wiki Biography. 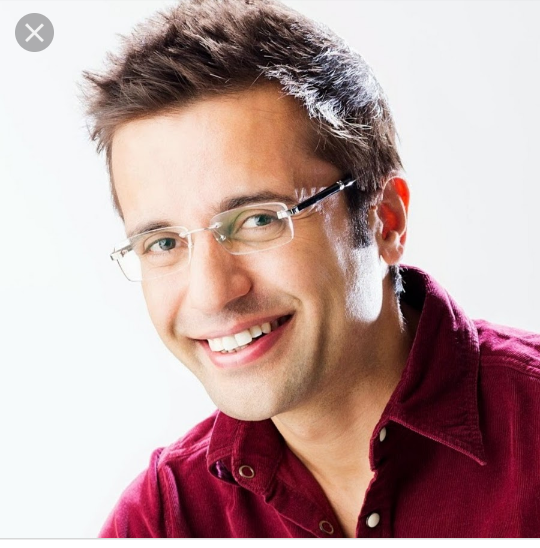 Do you want to read the entrepreneur sandeep maheshwari in Wiki Biography.